The Holy Table is the most sacred piece of furniture at the altar of an Orthodox Christian church. 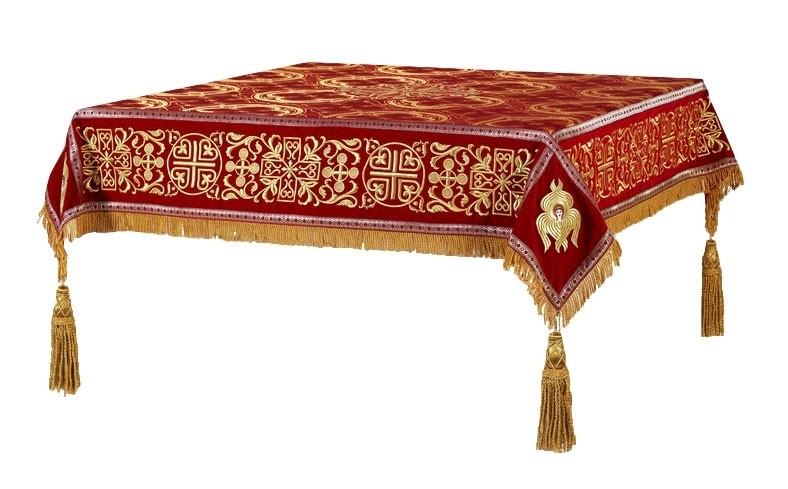 To celebrate important church services, cover it with a richly decorated red-gold Holy Table cover from Istok Church Supplies. 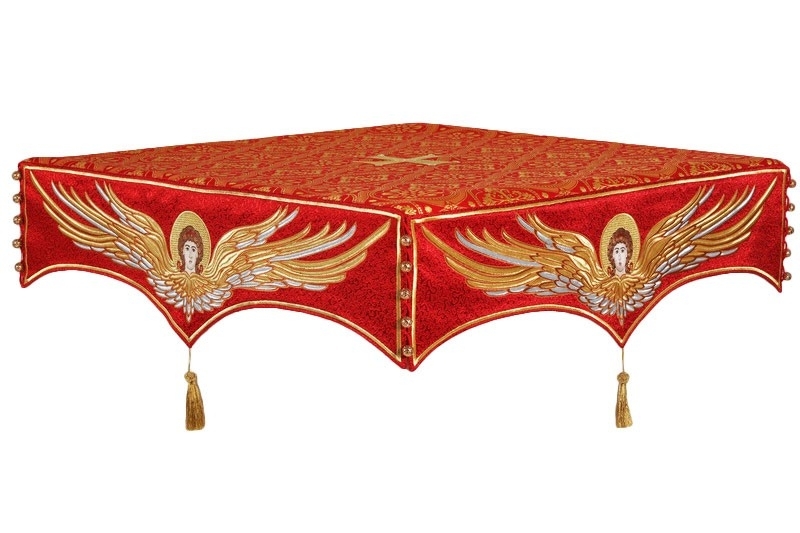 We offer red-gold Holy Table covers in a variety of fabrics including brocade, silk and embroidered fabric. Holy Table covers made from brocade material feature beautiful Christian themed patterns that are sure to bring out the solemnity of the occasion. Whether you are interested in a simple pattern or a more ornate design to go with the look of your church interiors, you are sure to find it in our collection. Prices vary from around sixty dollars to over a hundred and eighty dollars depending on the class of brocade material. 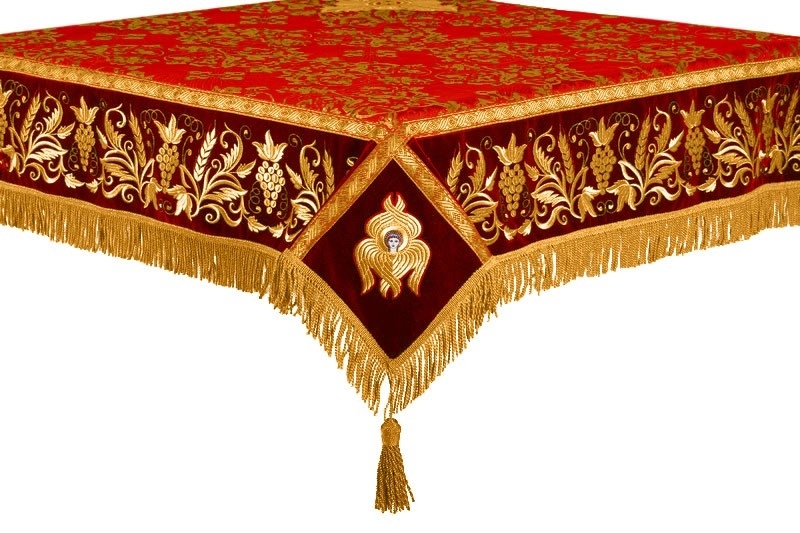 If you prefer more lustrous material, our red-gold Holy Table covers made from silk are the ideal alternative. 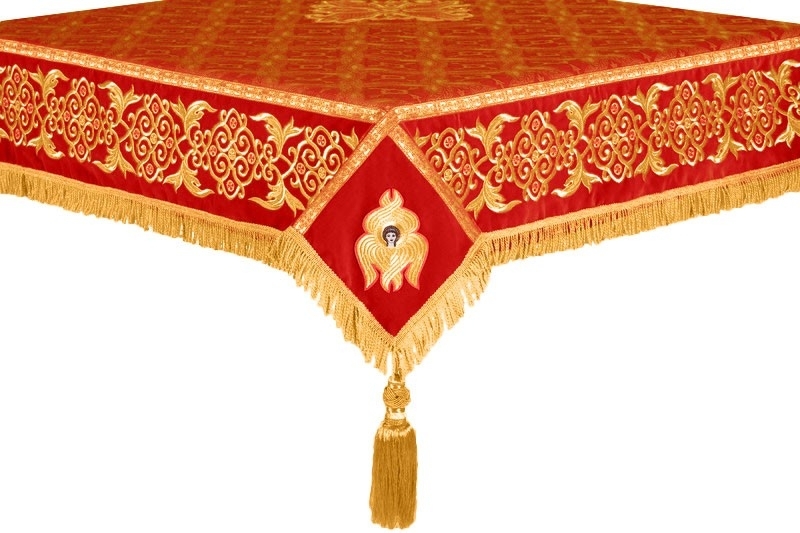 You can use the red-gold Holy Table cover you purchase for special services commemorating Martyrs and the Cross of Our Lord among others. The prices for these articles are quite affordable which makes them highly coveted among all Orthodox Christian church communities. Customers can upgrade their order by adding velvet inserts and/or premium decoration. 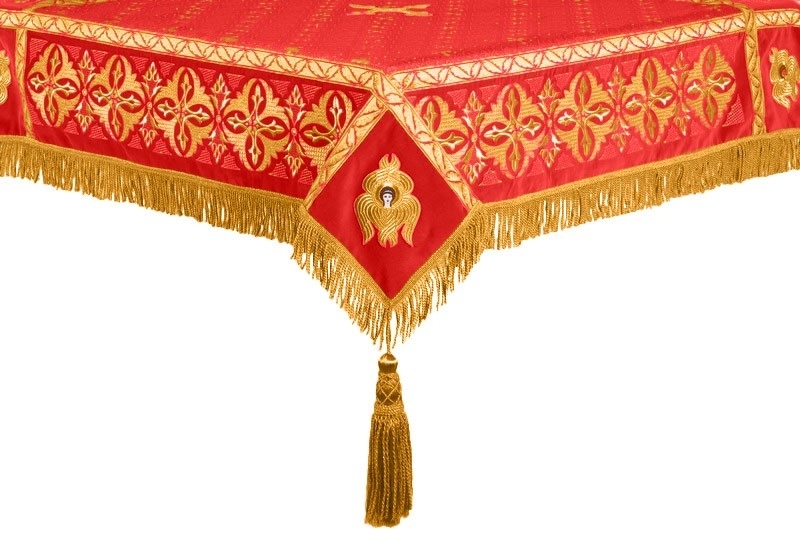 Our embroidered red-gold Holy Table covers are the embodiment of exquisiteness. From simple covers featuring elegant embroidery around the edges to lavish covers incorporating ornate embroidery all over, there’s something for everyone to choose from. Featuring a cross at the center, floral/Christian themed embroidery patterns or depiction of an Angel, these Holy Table covers are truly inspirational. 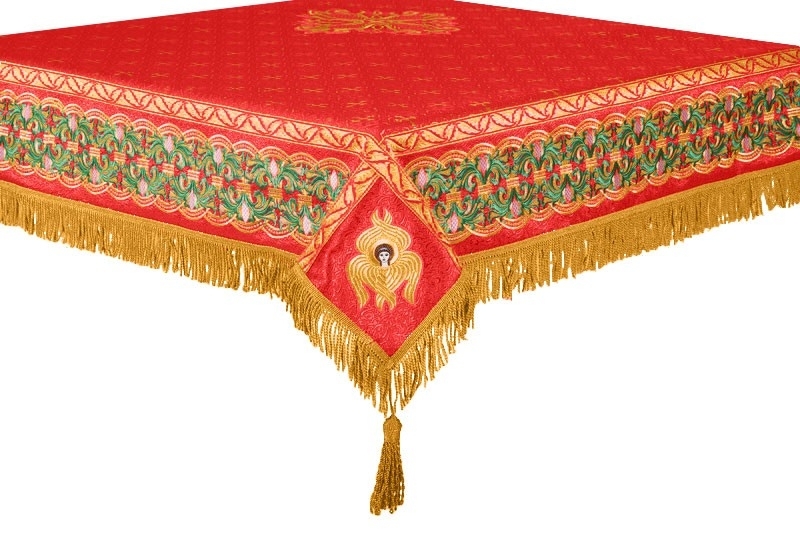 The prices of our embroidered Holy Table covers range from just under five hundred dollars to nearly a thousand dollars depending on the level of intricacy. In case you have a doubt or need some clarification about a particular product, please use the ‘Ask a question about this product link’ to get in touch!